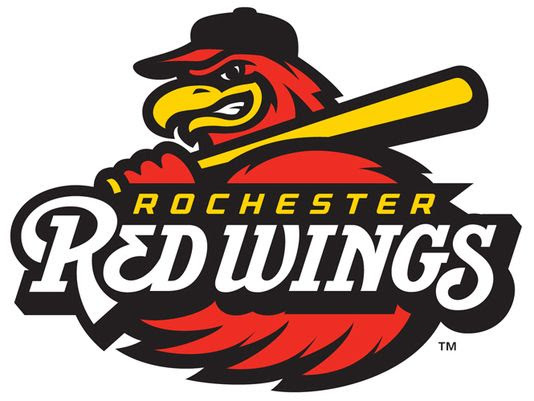 Byron Buxton sparked a three-run 1st inning with his eighth career leadoff homer for Rochester and the Red Wings beat the Louisville Bats 5-3 Friday night at Louisville Slugger Field. Buxton, who was reinstated from the disabled list earlier in the day, hit the second pitch of the game for his third home run of the season with the Red Wings (46-55). Andy Wilkins made it 3-0 with a two-out, two-run single after three straight walks loaded the bases. Nick Anderson started as the opener for the first time in his professional career and worked a 1-2-3 inning for the Wings. Zack Littell (2-4) pitched well in relief after a rough 2nd inning. He allowed two runs on three hits and four walks with six strikeouts over 5.0 innings. All three hits and both runs scored in the 2nd frame as the Bats (44-57) cut their deficit to 3-2. Willians Astudillo extended the Rochester advantage with a two-out RBI single in the 5th and Nick Gordon produced a run in the 6th to make it 5-2. Rehabbing Addison Reed made his Red Wings debut in the 7th inning. Blake Trahan doubled to open the inning but a catcher interference prolonged the frame and allowed Louisville to cut the Rochester lead to 5-3. Reed would strand the tying runs in scoring position to end the threat. Jake Reed made quick work in the 8th and 9th innings, tossing 2.0 perfect innings with three strikeouts on just 18 total pitches to earn his first save of the season. The Red Wings and Bats continue the three-game set Saturday night in Louisville at 6:30 p.m.